In 2009, the Karlsruhe I nstitute of Technology (KIT) was founded by a merger of Forschungszentrum Karlsruhe and Universität Karlsruhe. A cooperation results in a merger, both institutions are now an entity. KIT assumes the tasks, rights, obligations, authorities, and responsibilities of the former Forschungszentrum and the former Universität Karlsruhe. All contractual relations will continue to exist. KIT combines the potentials of a research center and a university in a unique manner. 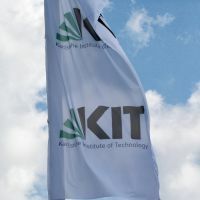 With roundabout 8000 employees and an annual budget of about 700 million Euros, KIT has the potential of becoming a leading institution in selected science disciplines in the world. The former Forschungszentrum Karlsruhe (FZK) was a member of the Helmholtz Association. The FZK was one of the biggest science and engineering research institutions in Europe. It was founded jointly by the Federal Republic of Germany and the State of Baden-Württemberg.